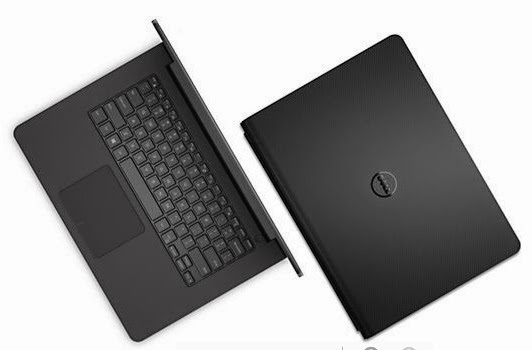 Dell releases the Maple In 5442 and In 5542 laptops in the country. The newest personal computing devices from the most-trusted PC brand is now in the Philippines. 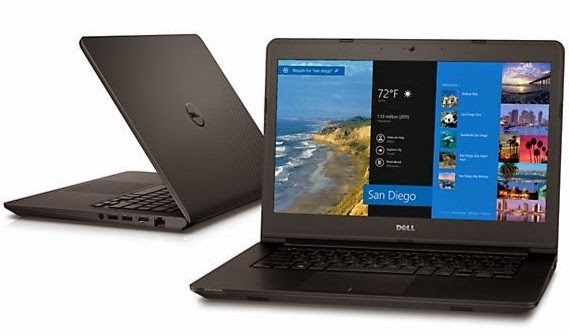 The Core i3 variant, Dell Maple In 5442 is best for those who love the laid-back life. Sporting a 14-inch LED Backlit Display with Truelife and HD resolution powered by Intel HD Graphics 4400 graphics, it’s perfect for entertainment, video conferencing and light tasks at work. On the other hand, the Core i5 variant, Dell Maple In 5542 on the other hand is the perfect mate for those who love adventures and tackle serious tasks on the job. It comes with the larger 15.6-inch LED backlit display with Truelife and HD resolution powered by AMD Radeon™ HD R5 M240 graphics with 2GB DDR3 dedicated memory for gaming and audio-visual tasks. From daily demands at work to staying connected with people who matter to keeping you entertained, Dell Maple laptops can hold out well. And it’s not an overstatement. It’s more than pretty enough to impress at the coffee shop, at your desk, airport or wherever you’re headed to next. And while it looks stunning, it’s a no let down device on the inside, packing enough punch to get more things done faster, better. What do you get when you mate the versatility of Windows 8.1 with the power of 4th Generation Intel Core i3 and i5 processors? The power to fire up applications, games, videos and almost everything in a flash. This efficient combination keeps power consumption low even while delivering high performance, lasting longer and giving you more for every charge. And with a 2GB discrete graphics option, it’s easier to handle intense photo or video editing sessions without slowing down performance. Video chat on the fly, watch a movie while waiting for class or a meeting or edit your vacation photos from your room – it all looks better on the vivid HD screen. Brilliant HD makes every pixel count, so presentations pop and photos, videos and games come alive with sharp detail and clarity. Throw in the audio too! Whether you’re mixing, streaming or chatting, Waves MaxxAudio® delivers deeper lows, higher highs and all there is that makes for outstanding audio performance. A full-size HDMI port, two USB 3.0, one USB 2.0 and a media card reader provide flexible connectivity and data transfer options. But if you’re not a fan of wires and cables, the ultrafast 802.11ac technology connects you at blazing fast WiFi speeds across an extended range, so you can roam free and still enjoy an impressive wireless experience. With all the features it packs, Dell Maple is a keeper. That’s why Dell designed it to endure beyond the normal temperatures. The battery, hinge, every key and every button, are all made to perform where life happens—in the real world. You can count on the Inspiron 5442 to perform not just in the places where you expect it, but for the open road ahead. And with Dell ProSupport, you‘re covered 24/7, from drivers and manuals to diagnostic tools and replacement parts. Get the power to take on challenges, whatever they are, with the new Dell Maple laptops! Get the Maple In 5442 for only PHP 24,990 SRP or Maple 5542 at PHP 32,990 SRP. You can call their official distributor, MSI-ECS, at 688-3180 or email marketing@msi-ecs.com.ph now for product details and availability.